Kitemare-Surf & Kite Shop / SURFING / Traction / Ocean & Earth Tail Pad. Three Piece. 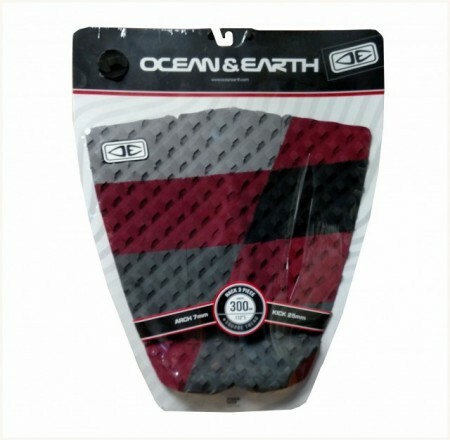 Ocean & Earth is one of the primal names in surfing and known for the quality, design and innovation of their products. 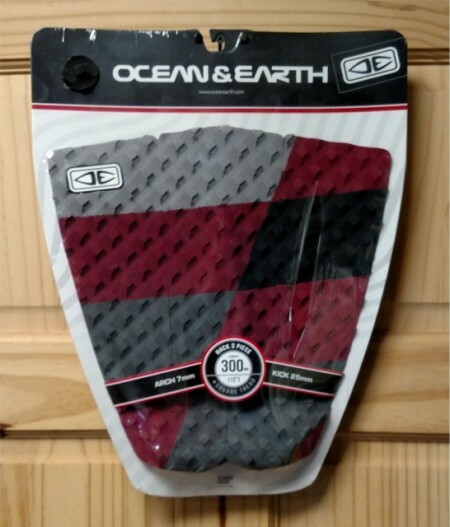 The Ocean and Earth three piece tail pad fits on the rear of your Surfboard board. With a 25mm kick at the rear with bevelled edges plus 7mm raised arch in the pad. A tail pad keeps your foot where it should be, increases control of the board and eliminates the need for wax in this area. Made from sticky backed EVA foam it is reasonably soft, strong and has great traction. The pad is approximately 30cm wide at the widest point and 31cm long. 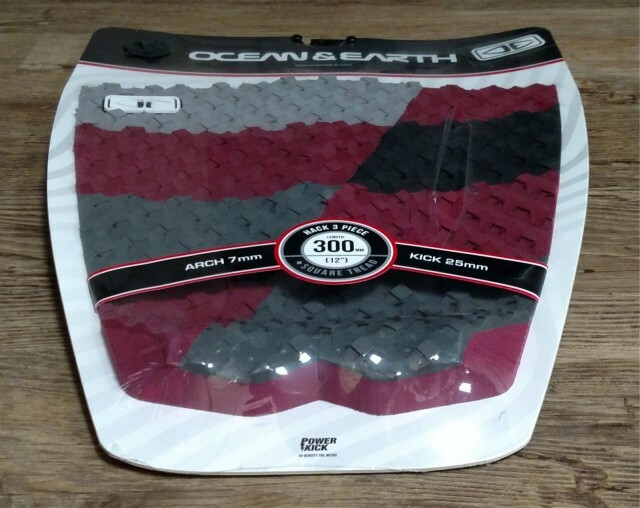 This is the three piece pad in grey, maroon and black.